Santander is on a list of potential buyers of Societe Generale’s Polish business Eurobank, two banking industry sources said. Reuters reported earlier this month that SocGen was exploring a sale of Eurobank, given increasing competitive pressures on the business. “Santander BZ WBK will be in the game,” a senior banking industry source said, adding that Credit Agricole was also interested as the French bank tries to decide whether to expand or pull out of Poland. Another source also confirmed Santander’s interest. Two other sources said Credit Agricole was interested in Eurobank, and one of them valued the potential deal at several hundred million zlotys. One of these sources also pointed to Portugal’s Millennium as a potential buyer. Societe Generale, Credit Agricole, Santander, and Millennium bcp declined to comment. Eurobank is the 17th largest Polish bank with assets of 14billion zlotys ($3.77 billion), and is more than 20 times smaller than the country’s biggest bank PKO BP . Last year, it made a net profit of 103 million zlotys. 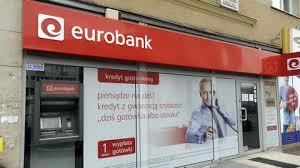 The sale of Eurobank would reinforce a broader trend of consolidation in Poland’s banking sector, which has accelerated in the past few years as the ruling eurosceptic Law and Justice(PiS) has party encouraged domestic ownership. 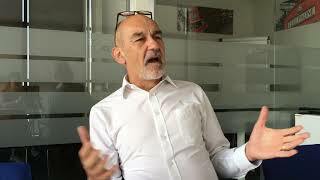 A senior banking executive in Poland said that a number of smaller banks in the country would be soon up for sale as historically low interest rates makes it difficult for them to boost returns and they lack the scale to compete with bigger players. He also pointed to certain other Polish banks, which are currently being restructured, as potential sale candidates once their finances have improved. Analysts and bankers predict that Poland will end up with just five major banking groups.